Engaging people in politics is a difficult task. 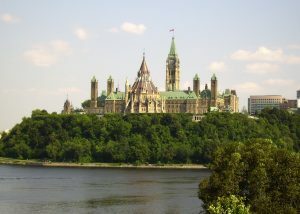 In the majority of provincial and federal elections, nearly 40% of eligible voters do not vote, while between 60-70% of eligible voters do not cast a ballot in municipal elections. People ask, why should unions be involved in politics? Political action is important to the labour movement in general and union members in particular. Businesses, unions, advocacy groups, non-profits, community groups, and individuals are all working to promote legislation or outcomes that are favourable to their interests. Those outcomes can have a tremendous impact on the interests of working families and IBEW members. If we are not actively involved in politics, then we surrender control of our lives to others – others who may have little regard for our interests. The best way to have a positive change is through political action. 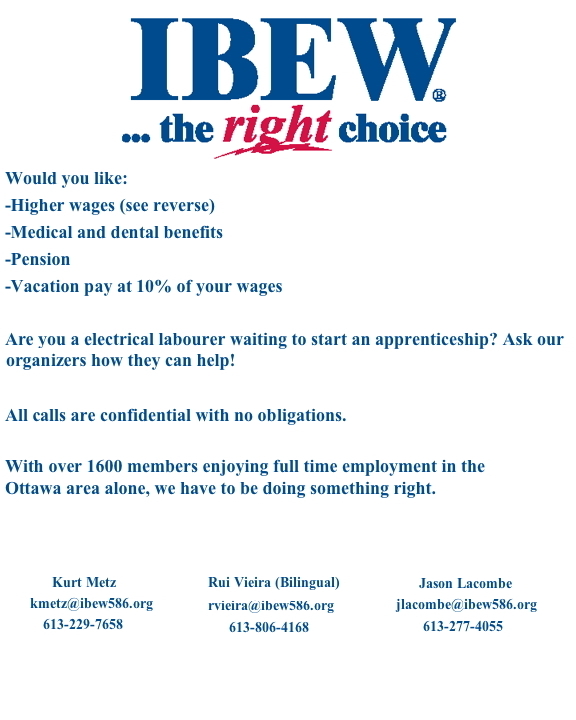 IBEW Local 586 is designed to represent the interests of its members. As such, we work very closely with government officials, affiliated skilled trade organizations and other unions to stay abreast of the latest developments that directly affect electrical workers and registered apprentices. Because of our strong relationship with these groups, we are also able to express our concerns, needs, and required benefits that will help to strengthen the future of our industry. For years, Local 586 has focused on enhancing the electrical industry by educating politicians and bureaucrats about what’s happening day-to-day in the industry. We have established an open dialogue with government officials on a frequent basis, to ensure that all our members remain informed on the most poignant information. The IBEW 586 Political Action Committee works towards the goal of keeping the membership informed of important issues across the political landscape. With this goal in mind we encourage everyone to get involved! Join your riding association, talk to your city councillor, reach out to your MPP and MP. Being informed and active in your community benefits us all.